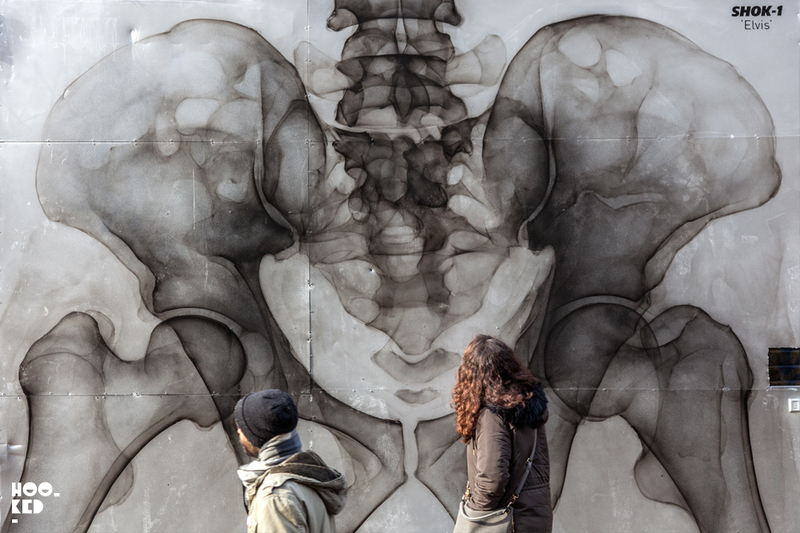 It's been several months since we last saw something new on the East London streets from artist Shok-1. 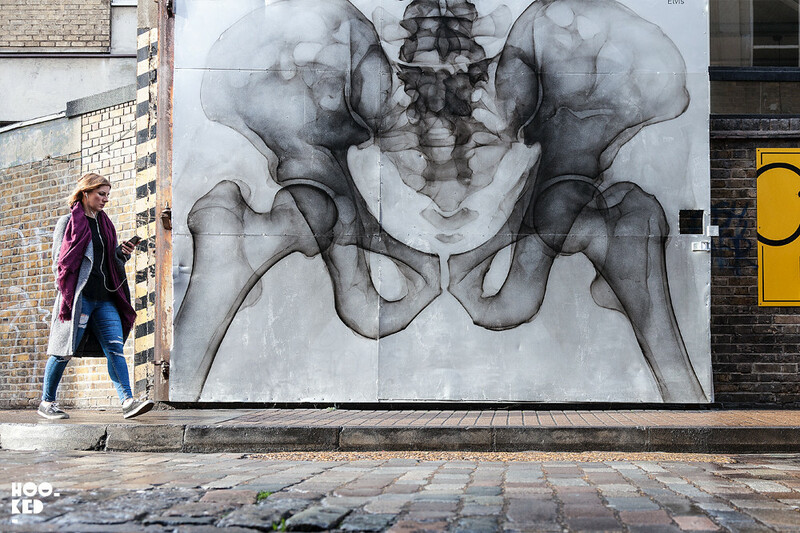 The artist’s work has been popping up in Paris and Berlin and he is now back outta the studio and on the streets of London with new work. The London based artists work has been a regular fixture on Fourier Street and the quality new mural from Shok-1 is a welcome addition to the neighbourhood. The artists freehand aerosol work has graced the double metal gates at the Brick Lane end of Fournier Street for a number of years now with a series of murals by Shok-1 appearing on the gates. 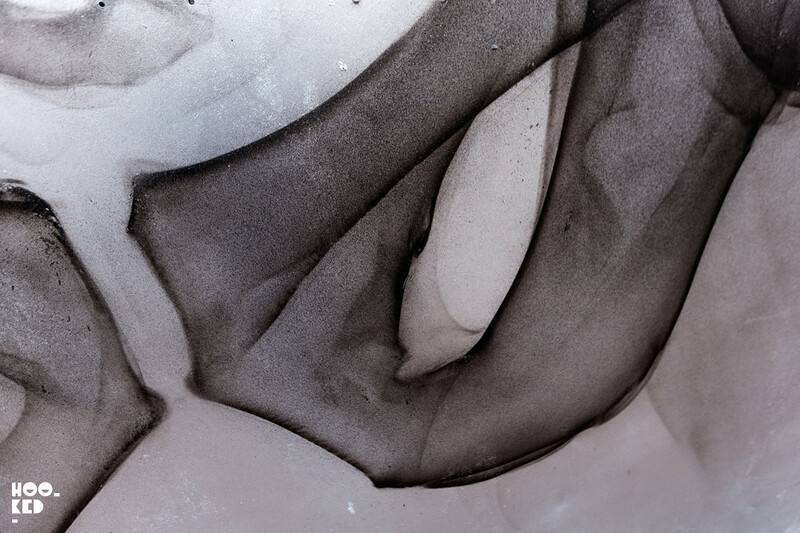 We have previously featured some of these works from his ongoing X-ray art series including the work currently to be seen here titled 'MasterPeace' (Previously on Hookedblog) as well as his collaborative work with London artist Remi Rough on a piece titled “Communication Accommodation Theory”(Previously on Hookedblog) painted back in 2012. 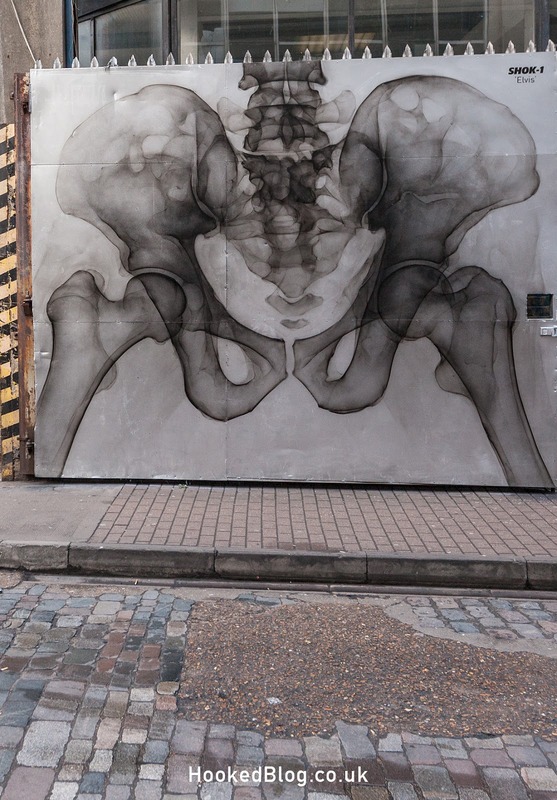 His latest London mural sees Shok-1 hitting up a new spot for him again in East London on Hanbury Street working on the gates that leads into Ely Yards in the Old Truman Brewery. 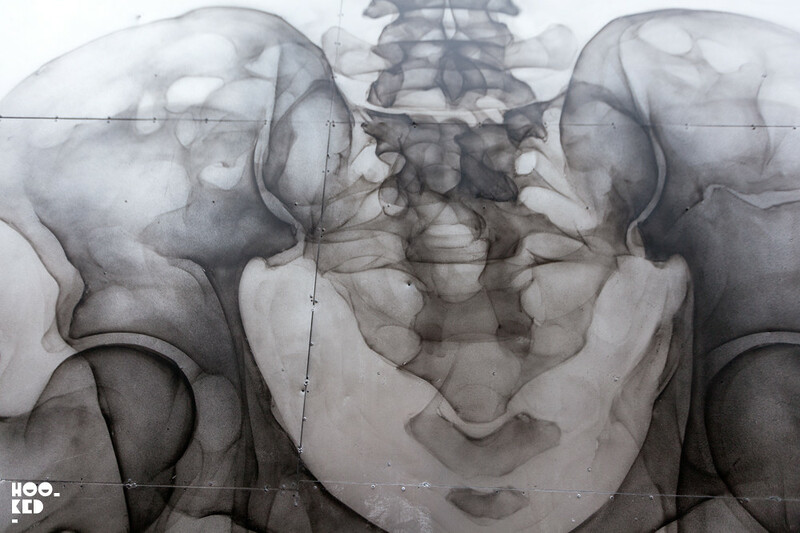 The new street art work from Shok-1 is another impressive X-ray cross section of a human pelvis which he has titled 'Elvis'. The Elvis title is perhaps a reference to King of Rock and Roll's lesser know nickname Elvis ' The Pelvis' Presley. The completed mural by Shok-1 titled 'Elvis' is located on the gates of the Old Truman Brewery on Hanbury Street, London.